A bright yellow is an important addition to any artists palette. 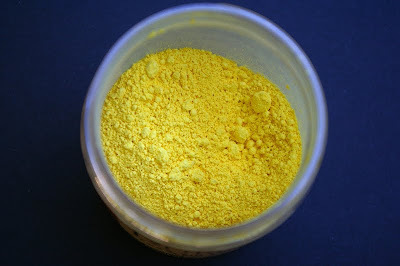 Modern yellow pigments are synthetic, based on mineral or organic mixtures. These colors, such as Cadmium yellow are permanent, and incredibly bright. For a painter wishing to achieve natural effects they demand caution and restraint, otherwise they can become overpowering. On the other hand, there are less intense and more subtle historical alternatives that are still available today. These are all mineral-based. 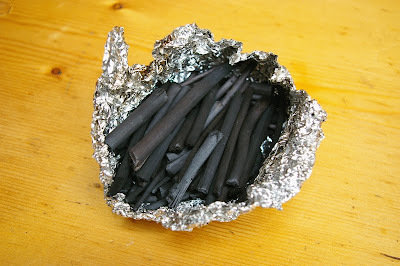 Natural organic colors such as Weld, are not lightfast, so I would not consider them. 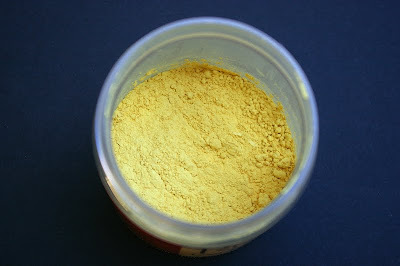 Orpiment is a bright rich yellow, based on the natural mineral arsenic sulfide. The presence of arsenic makes it very toxic. In fact the mineral was once used as a fly poison. Orpiment was a common feature on palettes going back to ancient times. It was a popular color in Italy during the Renaissance, but was not the preferred choice in Northern Europe. By the 19th century, Orpiment had been wholly replaced by alternatives. 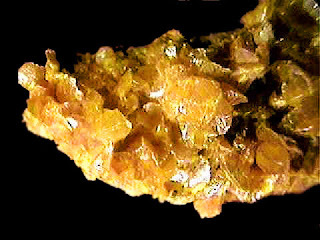 Orpiment's other major flaw is that it is incompatible with lead and copper based pigments. 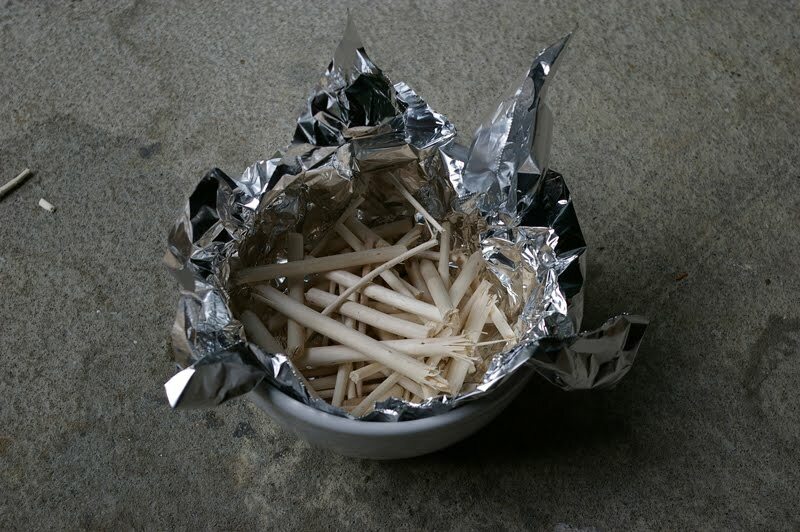 This means it cannot be used in mixtures containing lead white, for instance. I feel that this is far too limiting, so I will not be using this color. Lead-tin yellow is a synthetic bright opaque yellow, made by combining lead and tin oxide. Most varieties tend to be on the pale side. The color was most popular during the 15th to 17th centuries. Because it contains lead, it is highly toxic. It is also relatively expensive. An example of lead-tin yellow, from the painting Equestrian Portrait of the Duke de Olivares, by Diego Velázquez. 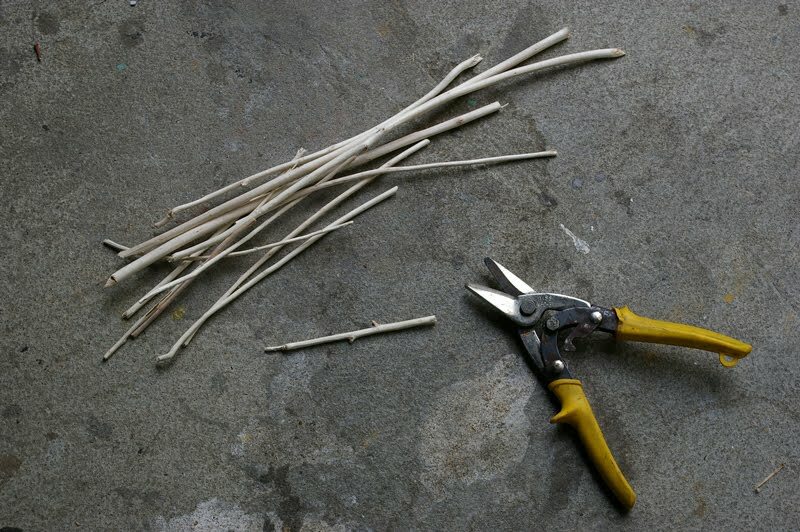 Naples Yellow is also made in the lab, by combining lead and antimony. The color varies depending on how it is made, but tends towards a deeper, more orange opaque yellow. It was gradually adopted as a replacement for Lead-tin yellow, probably around the 16th Century. It is highly toxic. As lead has been gradually phased out of most products, genuine Naples Yellow has become hard to find. Most colors sold today going by the name are imitations. They are convenience mixtures that lack the beauty or permanence of the real thing. When purchasing the color one must ensure that it is genuine. Real Naples Yellow is expensive, so a low price should raise suspicions. There is one natural blue pigment that is considered without peer: Ultramarine. A common color on European palettes by the Middle Ages, it is the color of the blue skies of the Renaissance, of Leonardo. Its name comes from the Italian oltramarino, "beyond the sea," as it had to be brought across the Mediterranean to Europe from the other side of the known world. Real ultramarine is made from the semi-precious stone Lapis lazuli, which is only available from a few locations around the globe. 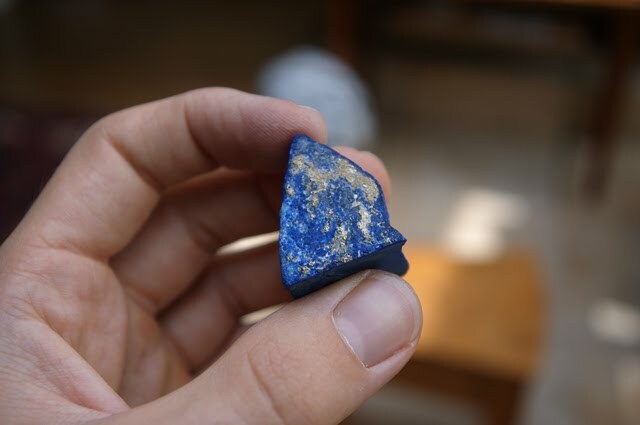 The very best Lapis lazuli comes from the remote mountains of Badakhstan province, in northeastern Afghanistan. The Sar e Sang mine has been in operation for more than 6,000 years. The rock was probably first exported to Ancient Egypt. Marco Polo visited this mine in 1271, during his trip across Asia. Lapis lazuli is a complex silicate rock, containing mostly lazurite but also calcite, sodalite, and pyrite. The highest grades are more intensely blue, and have smaller inclusions. The gold speckles are pyrite (Fools' gold). Lapis is a difficult material to mine. 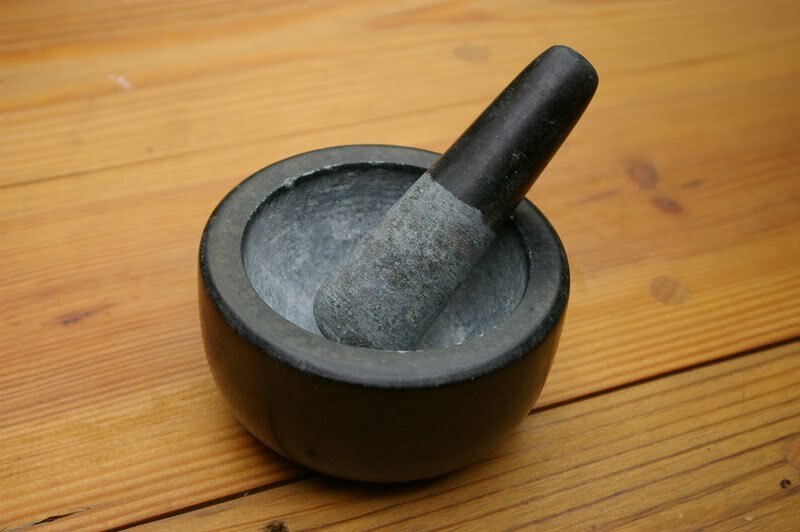 It is labor-intensive to grind and purify. These factors, along with the formidable remoteness of the mine and the rock's lengthy transport, made Ultramarine incredibly expensive. Worth more than gold, the high cost put it out of reach for many artists. It was often reserved for special subjects, such as the robes of the Virgin and Child. The asking price of a painting was often based merely on the quantity of ultamarine used. The issue of cost was taken seriously enough that the French government offered a reward to anyone who could synthesize it cheaply. In 1828, Jean Baptiste Guimet won the prize. The synthetic ultramarine he developed quickly superseded its natural counterpart and is still in use today. Real ultramarine is distinguishable from the synthetic variety by a less intense saturation. It has a glowing, gemlike quality stemming from its crystal structure. The effect is striking. 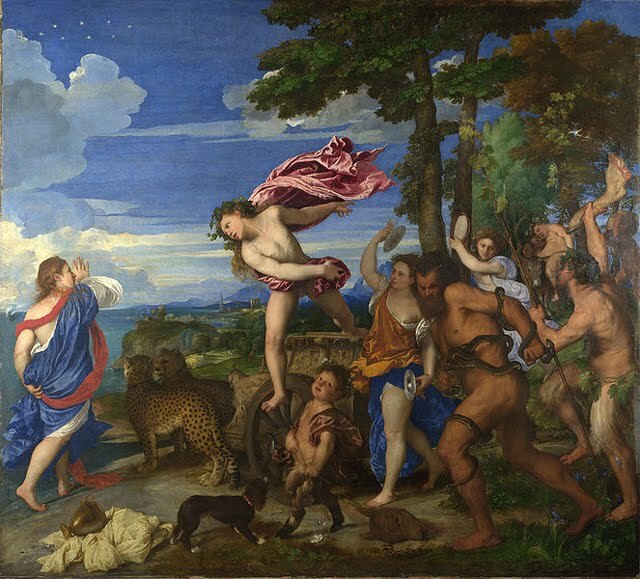 The painting, Bacchus and Ariadne, by Titian, serves as an example of how beautiful Ultramarine can be in the right hands. This painting was part of a series of restorations done in the late sixties. Its unveiling was controversial. The public did not associate the new colorful look with Titian, the sky in particular. Some critics suggested that this was the result of careless work by the restorers. 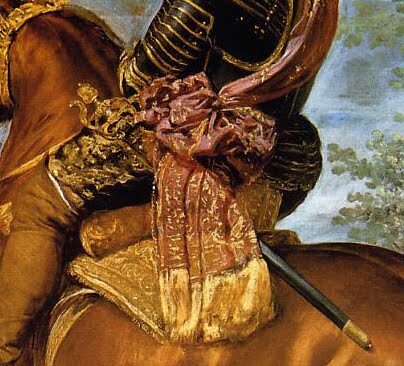 I will not enter into this debate, but I will say that, having seen the real color, this may be what the painting looked like when it was new. 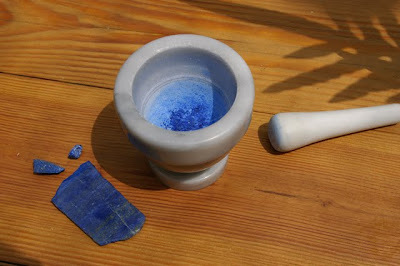 Given the high cost of finished pigment, I have decided to make my own Ultramarine from scratch. In the next installment, I will show how this was done.